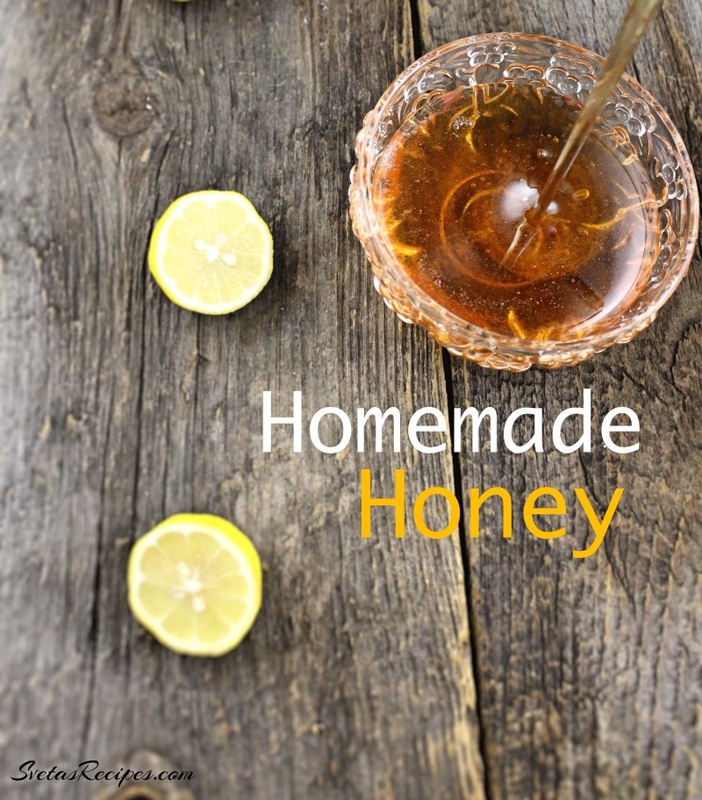 This recipe is almost identical to real honey and works in the same ways. It will definitely sweeten your tea and other beverages! The best part is that you don’t need any real bees! 1.) Starting off wash and dry your Tilia platyphyllos Bloom leaf. 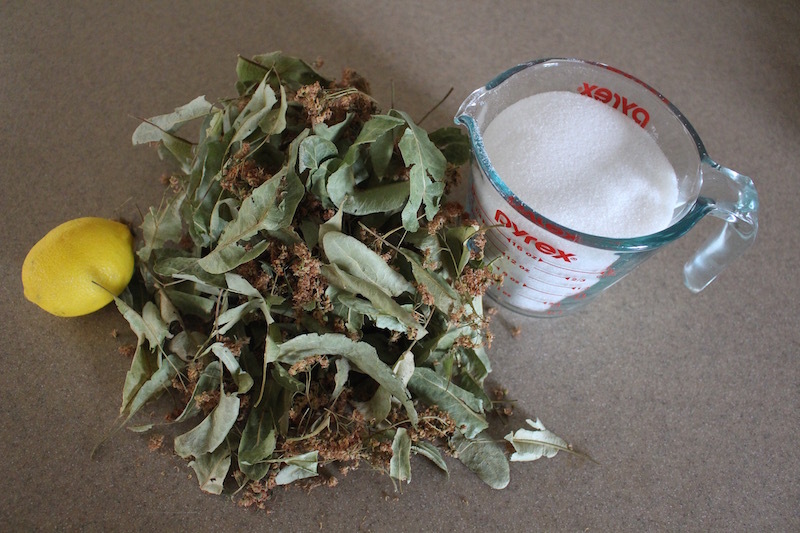 Then place it in a large bowl with cold water and cover it with plastic wrap. Let it sit for 1 night. In the morning add your Tilia platyphyllos Bloom leaf into a large pot. Place it on the stove and heat until it starts boiling. After strain your mixture, sugar and lemon juice. Mix together well and let it boil on a low heat for 2 hours. From this recipe you can make very healthy and delicious cakes and cookies. 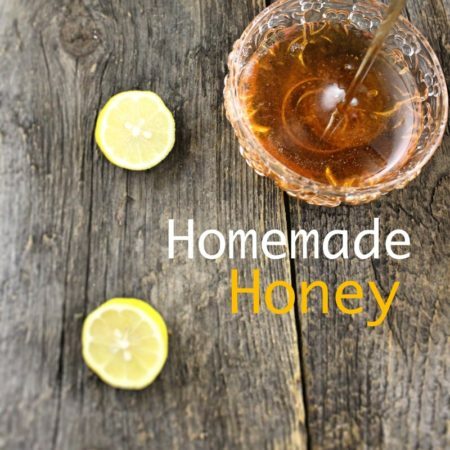 This recipe is almost identical to real honey and works in the same ways. It will definitely sweeten our tee and other beverages! The best part is that you don't need any real bees! Starting off wash and dry your Tilia platyphyllos Bloom leaf. 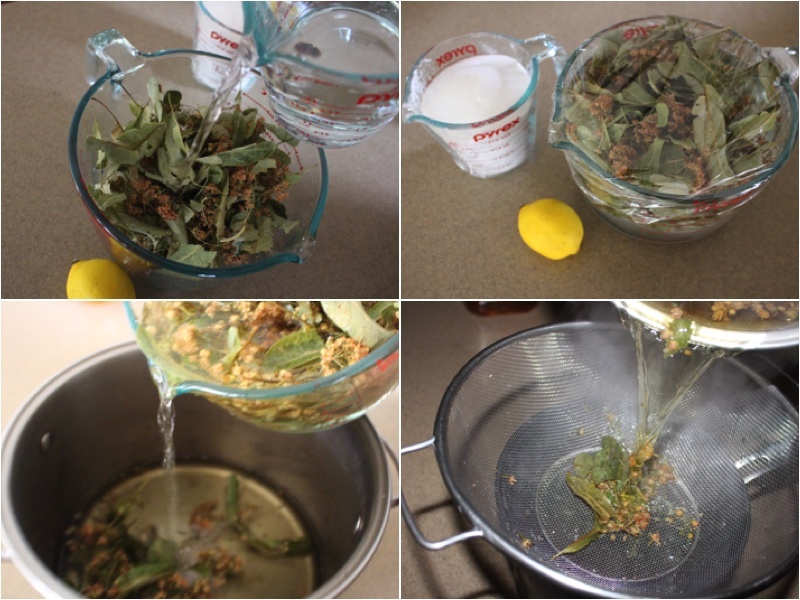 Then place it in a large bowl with cold water and cover it with plastic wrap. Let it sit for 1 night. In the morning add your Tilia platyphyllos Bloom leaf into a large pot. Place it on the stove and heat until it starts boiling. After strain your mixture, sugar and lemon juice. Mix together well and let it boil on a low heat for 2 hours. From this recipe you can make very healthy and delicious cakes and cookies.